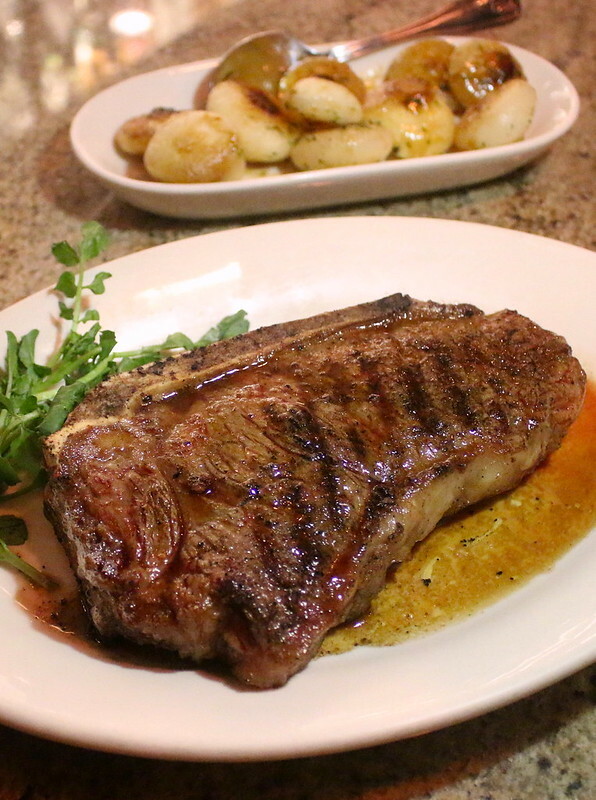 Despite all the new steak places opening in town, Morton's The Steakhouse is still one of my favourite places for steak. In all its 19 years in Singapore, it's been reliable and consistent. You know what you're gonna get, and you know it's going to be good. 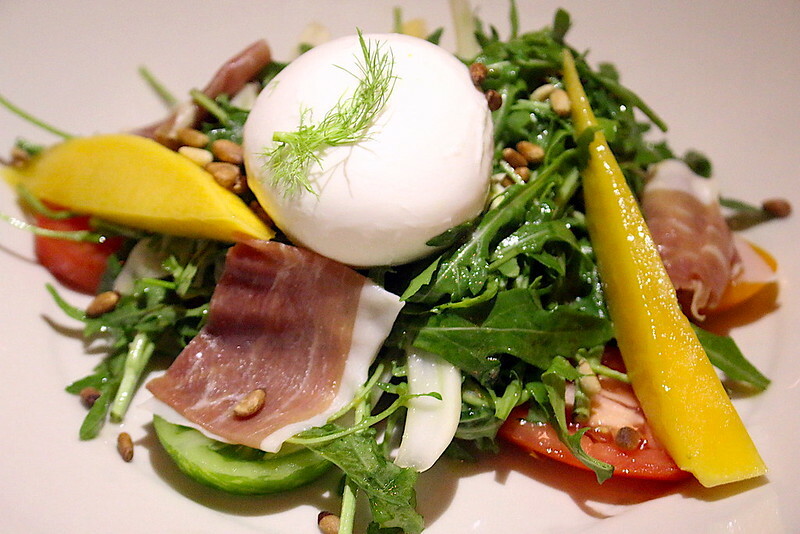 This is such a crisp and refreshing salad, with crunchy pine nuts and creamy cold burrata. The sliced heirloom tomatoes, arugula, shaved fennel, sliced mango, prosciutto, fennel frond are tossed together with a citrus vinaigrette which ties the sweet and savoury flavours together. As with all things at Morton's, it's a large portion (it's enough as a main for me!). 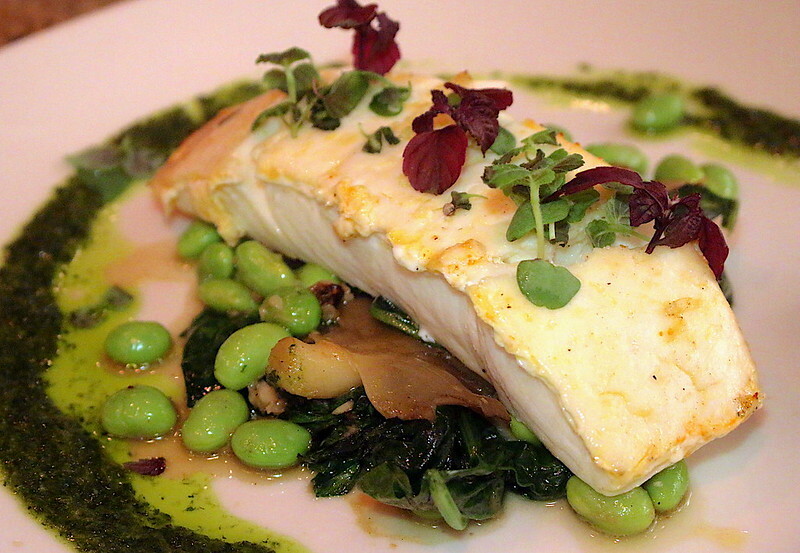 The 8oz halibut is served on a bed of edamame beans, oyster mushrooms, garlic and spinach. The firm and lean fish is mildly sweet and its large fleshy flakes go well with the herb pistou. Pistou is much like a pesto, but without pine nuts, and has origins from Provence, France. This tender filet mignon is from Snake River Farms and weighs 7oz and is broiled to order. 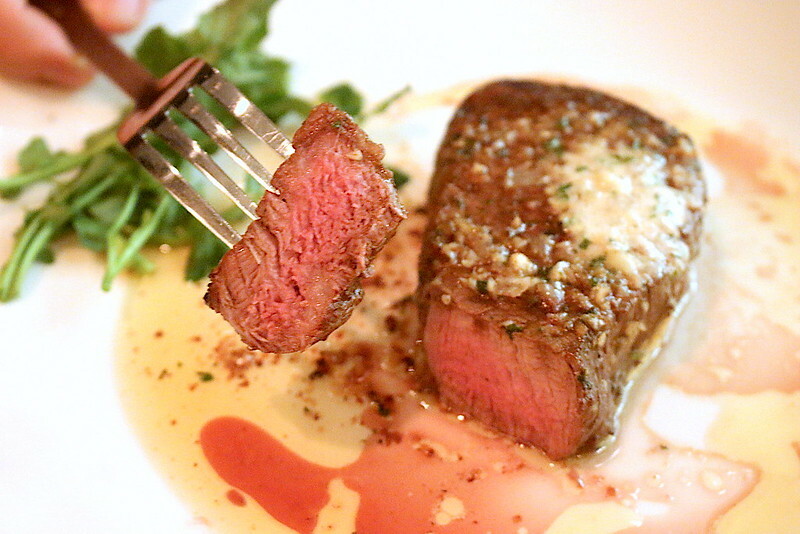 It's served with an exquisite melted wagyu steak butter (garlic, shallots, thyme, parsley, liquid smoke). The American wagyu is Japanese wagyu cross bred with Angus Steer, so you have high marbling but also a stronger beefy signature than the Japanese counterpart. It's 100% natural with no added hormones. This center cut strip steak has a richer flavour profile, thanks to dry aging for up to 45 days (read my post demystifying this process). Dry aging basically elevates the taste and tenderness of the meat. 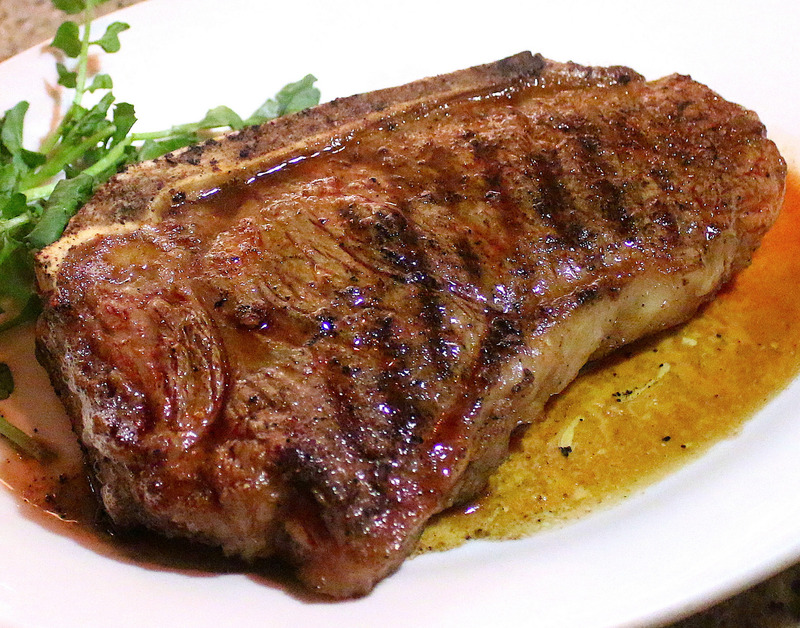 It's a hefty 18oz of USDA Prime goodness seared beautifully, so it's a slice of heaven right there on the platter. And what would steak be without fries? DO NOT MISS THE FRIES. You wouldn't expect this side dish to outshine the main, but it does come close! 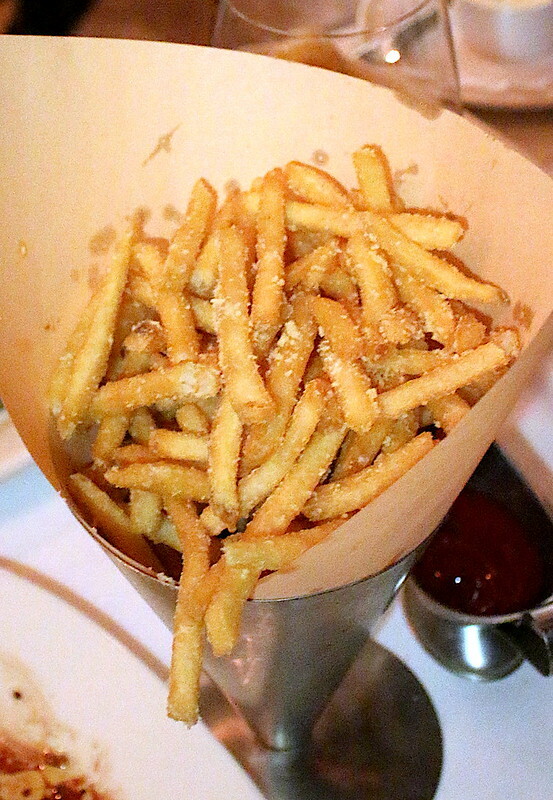 Remarkable fries dusted with parmesan and drizzled with a good truffle oil. I am tempted to come back just to nibble these. 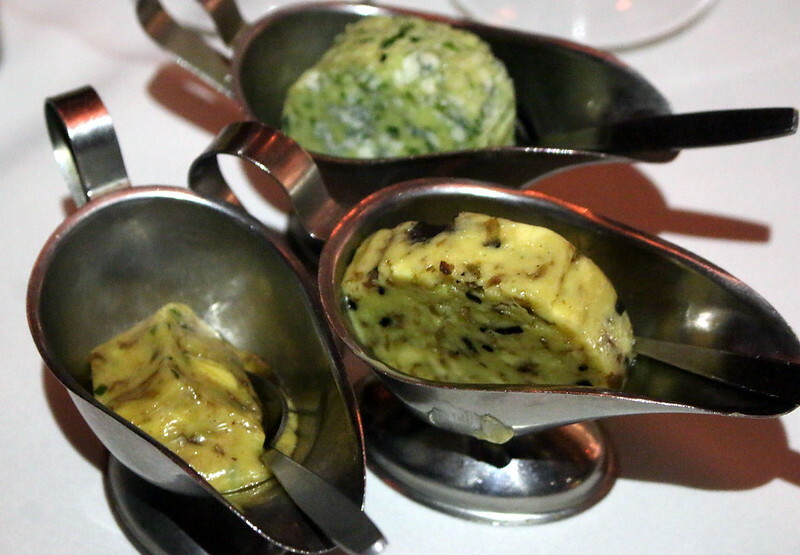 Transform your steak with flavoured butters - truffle, foie gras and blue cheese. There's certainly plenty of steak, so feel free to experiment. 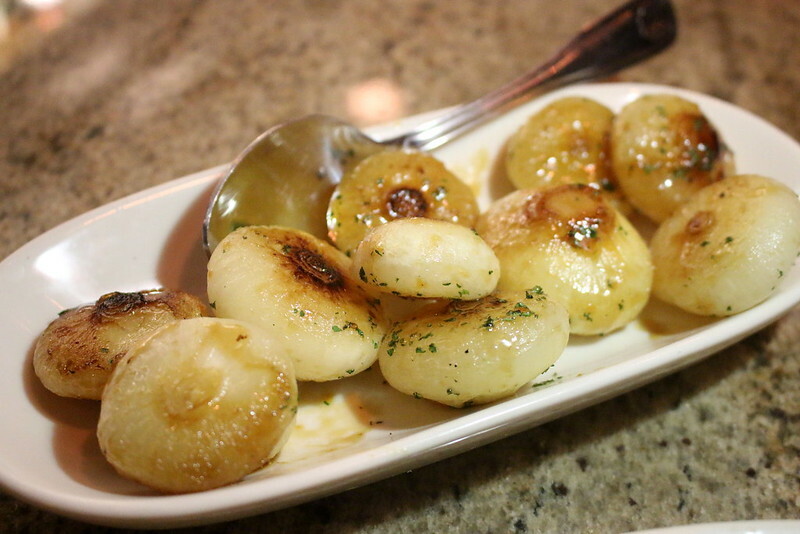 Cipollini means "little onions" in Italian. These sweet and mild onions are gently crunchy and gorgeously caramelised. They make a lovely side, but it is a large portion, so one serving is enough for four to share. 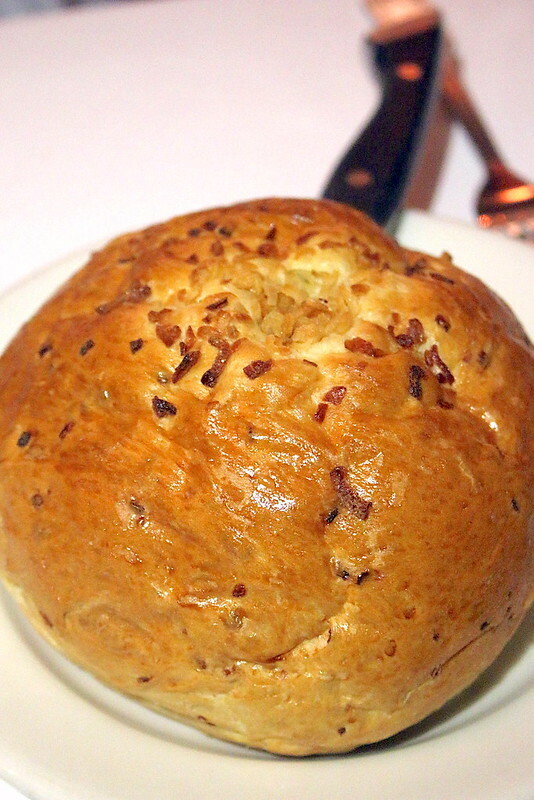 You gotta have the signature Onion Loaf when you come to Morton's. But if you have to choose between this and the fries, OK, the fries win. 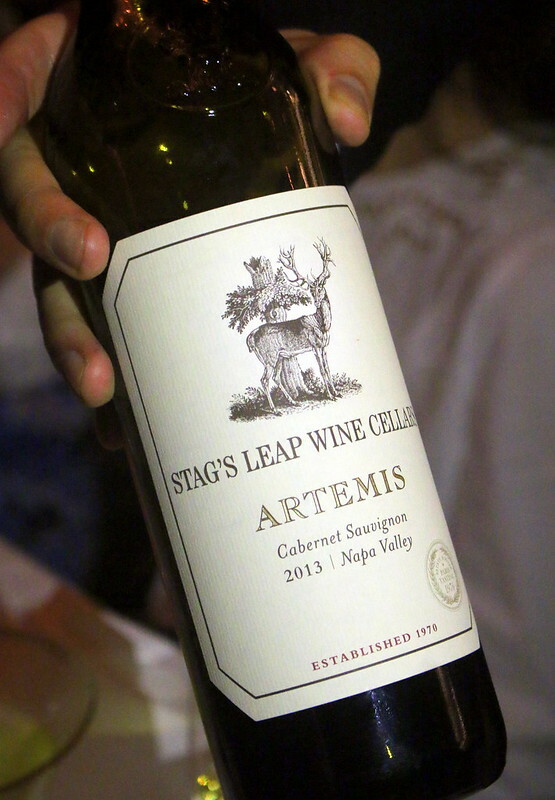 And for wine lovers, Morton's has over 200 international labels in its collection. The desserts are larger than life. 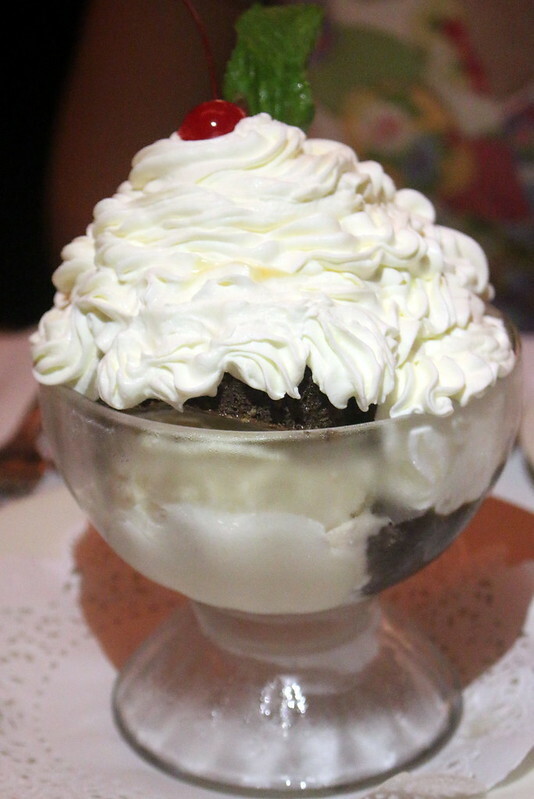 Morton's Legendary Sundae is perfect for sharing; it was our favourite dessert, hands-down. 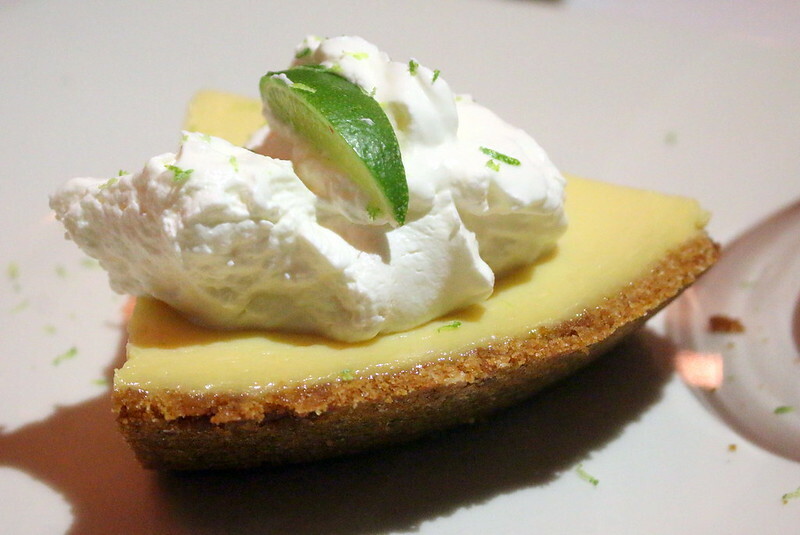 Morton's also has a really good Key Lime Pie. I preferred this to the Chocolate Mousse. Morton's in-restaurant bar area now can also be converted using heavy curtains into a cosy dining nook that's a little less formal than the private dining rooms. I love it. 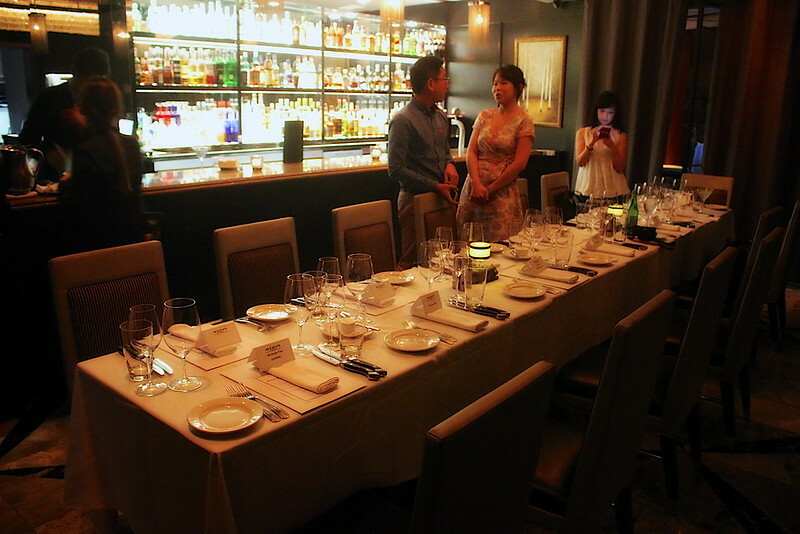 Many thanks to Morton's for the invitation and hospitality.